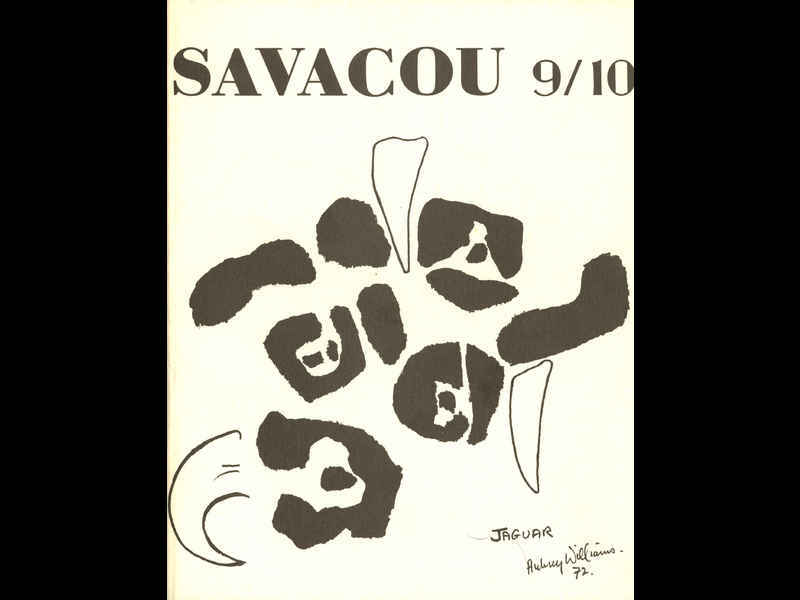 Later copy of Savacou, the seminal magazine of the Caribbean Artists Movement. Issue 9/10 featured a cover by Aubrey Williams, Jaguar (1972). Ronald Moody was responsible for the Savacou motif, Carib War Bird, which appeared on the magazine’s flyleaf. The motif was instantly recognisable as Moody’s work, as it closely reflected and referenced his own Savacou - both the maquette and the public sculpture itself, located on the campus of the University of the West Indies Mona Campus in Kingston, Jamaica.